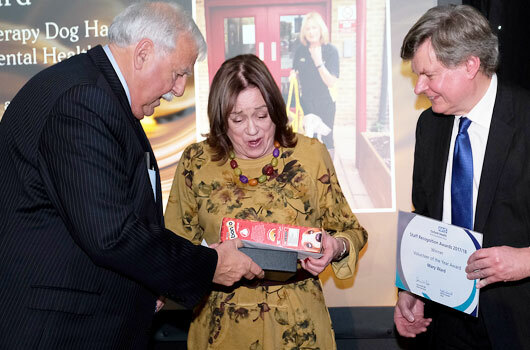 This award is to recognise the contribution of any person or team of people who give their time to contribute as an Oxford Health Volunteer or Trust Governor. In April this year the first Peer Support Worker training programme was launched. The training programme is specifically for people with lived (first-hand) experience of poor mental health who use their experience to help others on their recovery journey. By volunteering in our frontline teams they have enhanced the service provision, benefitting patients, their friends and family and existing staff. “The Peer Support trainees have embodied the trust’s values; caring, safe and excellent. 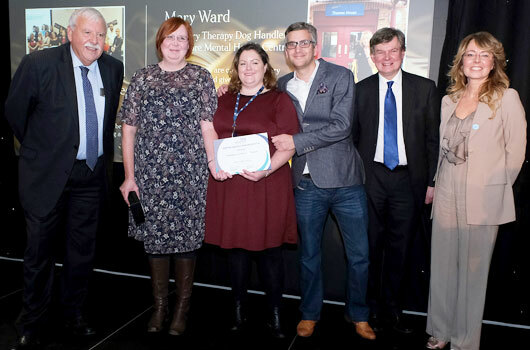 By volunteering in our frontline teams, the Peer Support Trainees have enhanced the service provision, benefitting patients, their friends and family, and the existing staff. We’re all really proud, it’s been fantastic to give something back. It’s been an unknown adventure and there is an exciting chapter to follow. Mary is a representative of Therapy Dogs Nationwide and brings two of her Weimeraner dogs — Oriel and Tamar— on visits to some of the trust’s forensic and acute mental health wards. She holds half hour sessions with patients, many of whom have been pet owners themselves and she says interactions with her dogs bring joy, calm and happiness to many — especially when there’s a chance to play and throw a ball. I am over the moon with the award. I really didn’t know such things existed and to be nominated and to win makes me so very happy. The dogs give out so much love. So it’s wonderful. They’re delighted too with their biscuits!